It is worth mentioning that exhibitions representing a dialogue of different artists that includes their existence in different environments as well as living in different periods attract considerable attention of culture consumers. The dialogue, like a new Enlightenment, allows us to see from a new perspective things that we consider we have experienced and know very well. 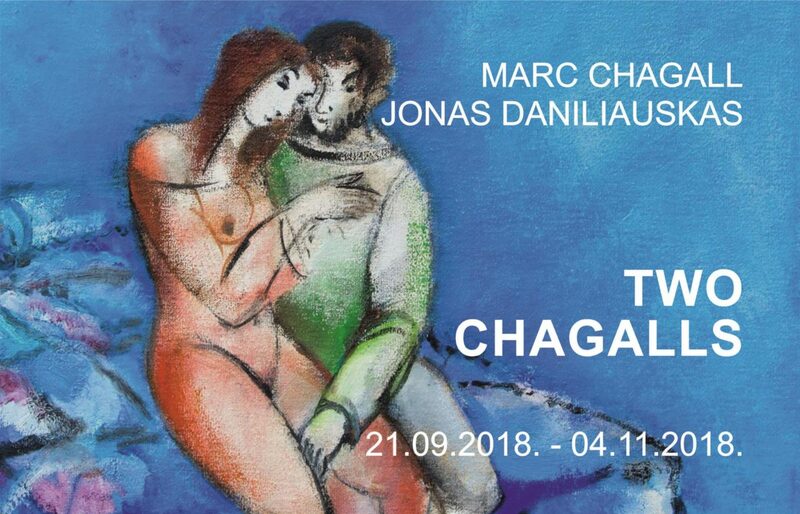 We have this feeling of novelty of perception and space-time dimension at the painting exhibition of Marc Chagall (1887–1985) and Lithuanian artist Jonas Daniliauskas (b. 1950) Chagall One and Two. The artistic work of Chagall charms with the free play of line and colour that opens up the possibility of a free reading of the narrative, as well as its original interpretation. This openness to interpretation is determined by the unique style of the artist, developed through many years, and witnessed by the biographical facts of his life: during almost a 100 years of his life, Chagall produced thousands of impressive artworks: paintings, lithographs, engravings, theatre costumes and decorations, enormous stained glass works. Since the very start of his artistic career Chagall had been searching for a unique style, developing a light, spontaneous, musical, melancholic drawing that formed the mysterious meanings of his mysterious plots. Chagall’s work is a map of rich imagination and memory that determine surrealist associations. Yet, having freed himself from the influences of surrealists, cubists and expressionists, the artist created a unique independent art style, related in its themes with Slavic folk art and Jewish religion, where intense and often contradictory colours give the impression of an enchanting composition. The developed iconic plots are marked by Vitebsk architectural motifs, strange animals and people, flying in the sky; all this demonstrates unlimited artistic work of Chagall, open for interpretation and associations. The impressive creative legacy of Chagall to be presented in Daugavpils, has Biblical motifs at its heart. It is worth mentioning that the artist, while working on the illustrations for the Bible in the 1930s, visited the Holy Land. The indelible impressions of Syria, Palestine and Egypt determined his long-term devotion to Biblical plots and motifs of the ancient Jewish world. The artist himself said “Since my youth I have admired the Bible […]; I have always thought it the source of greatest poetry of all time” . Though texts of poetry and painting speak to the viewer in different languages, Chagall’s personal relation with the Biblical text shows that the common ground (i.e. 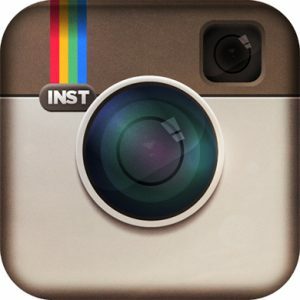 the narratives rooted in cultural history) is still able to affect the viewer nowadays. In this case painting may be treated like philosophy: a form of human activity that opens up schemes of thought, but also encourages the definition of life. Similarly to Chagall’s, the coordinates of the world are defined by the painting of Daniliauskas. Though the artist’s works are born spontaneously, the depicted simple everyday life of the village people confounds the viewer (there are no grand cultural narratives here) . Though Daniliauskas’ works often show the figure of an angel, the painter, in contrast to Chagall, does not tell religious narratives. His humanised angels go through the everyday rituals of human life. the artist’s poetic nostalgia, shatters everyday human life, opening up the genuine feeling of existence, making us refuse the extravagant social roles and leave only the genuine, noble human emotions. The simplicity of Daniliauskas’ painting, similarly to Chagall’s, attracts the viewer and returns them to the historical past, where the images of folk art are used by people who know how to see rather than how to read. This way, the paintings work like mirrors of a past time, and the past itself is perceived as an art-inspiring element. It stimulates the birth and development of a unique poetry of reality of sincere people. See Eco, U. (2004). Atviras kūrinys. Forma ir neapibrėžtumas šiuolaikinėje poetikoje (Opera Aperta). Vilnius: Tyto alba (transl. Tuliševskaitė, I). See Andrijauskas, A. (2010). Chagallo spalvų magija. Logos, 63, 133 – 134. See Карр-Гомм, С. (2003). Путеводитель в мире живописи. Москва: Издательский дом «Ниола 21-й век», 223. See Bernard, et al. (2006). Meno istorija: nuo Viduramžių iki Šiuolaikinio meno (Histoire de l’Art de Moyen Age d nos jours). Vilnius: Alma Littera (transl. Perkauskytė, L., Banionytė, S., Kryžanauskaitė, E. A., Lesevičius, M., Malinauskienė, V., Milienė, I. ), 688. Bernhard, M., et al. (1998). Universalaus meno žodynas: nuo seniausių laikų iki dabarties (Universal Lexikon der Kunst: Von der Frūhzeit zur Moderne). Kaunas: Šviesa, 99 – 100 (transl. O. Aleksa, J. Kunčinas, L. Veršulienė). See Andrijauskas, A. (2010). Chagallo spalvų magija. Logos, 63, 134 – 135. Quote of M. Chagall in Introduction by Irina Voronova to the artist’s work (2018): «С ранней юности я был очарован Библией, […] Мне всегда казалось и кажется до сих пор, что она является самым большим источником поэзии всех времен […]». See Nastopka K. (2002). Reikšmių poetika. Vilnius: Baltos lankos. 176. See also Karpavičiūtė, L. (2013). Тrauminė atmintis Lietuvos žydų romanuose (Grigorijus Kanovičius, Icchokas Meras, Markas Zingeris): Master of Arts thesis. Kaunas: Vytauto Didžiojo universitetas, 47. See Lietuvos Aido galerija. http://www.lagalerija.lt/parodos.php?full=1&lang=&paroda=123 (accessed 2009-05-06). See Venckus, R. (2010). Tarp Angelo ir žmogaus: J. Daniliausko kūrybos recenzija. Venckus, R (2012). Jonas Daniliauskas: tapyba. Vilnius: Všį Artkomas, 8-14, 208, 270-276. Ibid. See also Apie Joną Daniliauską. Fruktus Artis. http://www.fructusartis.lt/goods/cat,3001/sub,3014/gid,65/Jonas-Daniliauskas-1950/LIETUS/ (accessed 2009-05-06). Venckus, R. (2012). Jonas Daniliauskas: tapyba. Vilnius: Všį Artkomas, 8-14, 208, 270-276. See Gombrich, E. H. (2000). Dailė ir iliuzija (Art & Illusion). Vilnius: Alma Littera (transl. Antanavičiūtė, R.), 286.